Illiterate people may frequently experience social discrimination and exclusion in our modern society. It has been suggested that social adversity increases risk of schizophrenia. The current study examines the relation between illiteracy and schizophrenia. We utilized data on 1,909,205 representative Chinese people of age 18 years or older collected by the Second China National Sample Survey on Disability in 2006 (participation rate 99.8 %). Experienced clinical psychiatrists diagnosed schizophrenia among those who were psychiatrically disabled with the ICD-10 symptom checklist. 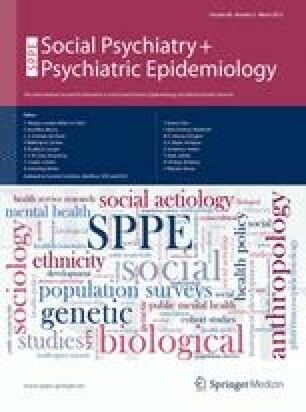 Strikingly high prevalence of schizophrenia was observed among the young illiterates aged 18–29 years (prevalence 1.64 %, 95 % confidence interval (CI) 1.35, 1.93) and 30–39 years (prevalence 1.51 %, 95 % CI 1.34, 1.68), much higher than the prevalence estimates for general Chinese population of similar age reported by any of the previous studies in mainland China. Among people aged less than 40 years, we found that the illiterates were 2.08 times more likely to develop schizophrenia than the literates with no school or primary school education (odds ratio (OR) = 2.08, 95 % CI 1.84, 2.36). The association remained statistically significant after adjustment for age, gender, marital status, household income, and location of residence. Consistently, a strong association between illiteracy and schizophrenia (OR = 2.8, 95 % CI 1.28, 6.11) was found in conditional logistic regression analysis among matched sibling sets aged less than 40 years that further adjusted for genetic confounding. The risk of schizophrenia may have increased among the socially disadvantaged illiterate people. T. Liu, X. Song, and G. Chen contributed equally to the study. The work was supported by the National Key Project (973) of Study on Interaction Mechanism of Environment and Genetic of Birth Defect in China (Grant Number 2007CB5119001), State Key Funds of Social Science Project (Research on Disability Prevention Measurement in China, Grant Number 09&ZD072), National Yangzi Scholar Program, 211 and 985 projects of Peking University (Grant Number 20020903), as well as China Postdoctoral Science Foundation (Grant Number 20100480137). The authors gratefully acknowledge Dr. Michael R. Phillips for providing invaluable comments on the manuscript.